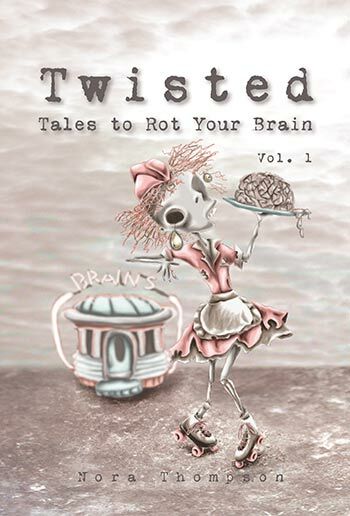 I’ve written and illustrated a book called Twisted: Tales to Rot Your Brain Vol 1. It’s a little twisted, as you can imagine, and it will probably do some damage to your brain, as you might expect. The book has gotten some great reviews (Publishers Weekly, Midwest Book Review and Kirkus Reviews, to drop a few names), and Kirkus Reviews made it their Indie Spotlight Q&A! It even went and won itself a couple Purple Dragonfly Book Awards. I’ve built a Web site for the book, and I’ve been posting updates on the book’s blog. The book is available on Amazon and Barnes & Noble as well as the official Hairy Eyeballs website.